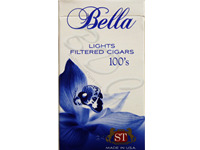 I like these Bella lights. Yes, there is a bit of after taste. Not enough to bother me though. They have these fancy gold paper on the filter that ladies might like.